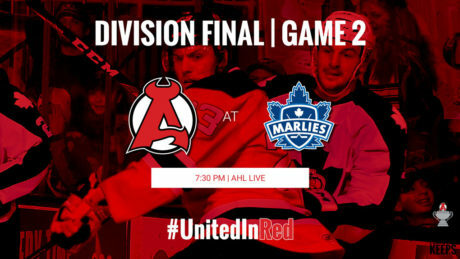 Winner takes all during Game 7 between the Devils and the Marlies Monday at Ricoh Coliseum (7:30 pm). 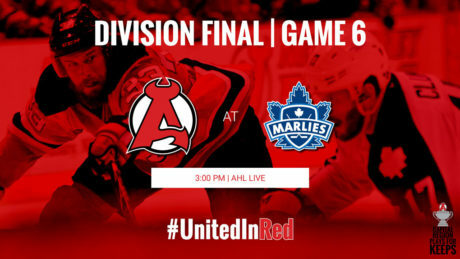 The Devils are in a must-win situation when they hit the ice against the Marlies for Game 6 of the North Division Final. 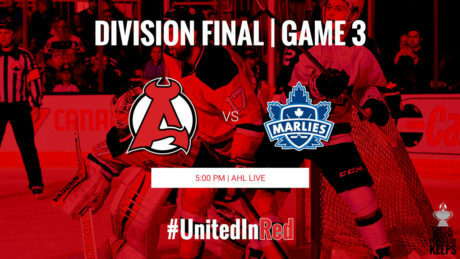 The North Division Final has turned into a best-or-three with both the Devils and Marlies winning two games each. 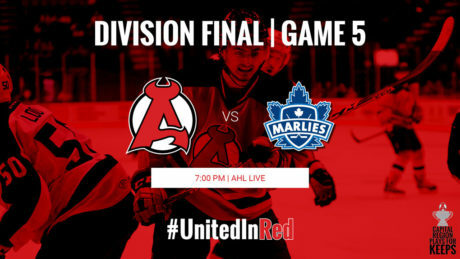 The teams meet for Game 5, the final at Times Union Center this round, on Thursday at 7 pm. 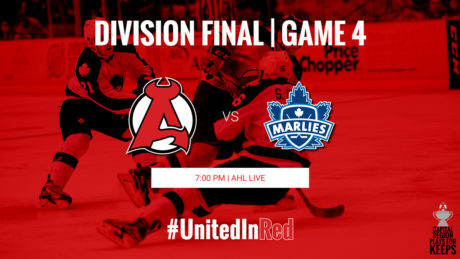 Two days after the Devils claimed a 3-2 overtime victory against the Marlies, the two teams face off for Game 4 Tuesday at Times Union Center. 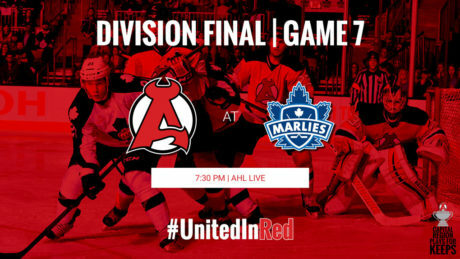 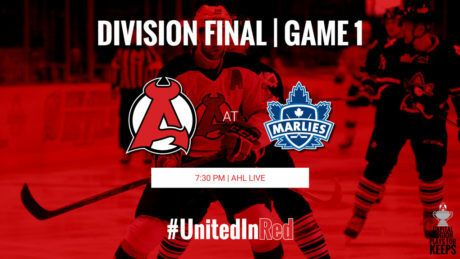 The Devils and Marlies open the North Division Final Wednesday with a 7:30 pm contest at Ricoh Coliseum.